Based on designs of Harley Quinn from Injustice, comes this Previews Exclusive figure of the maid of mischief in her red outfit that measures about 8-inches tall. 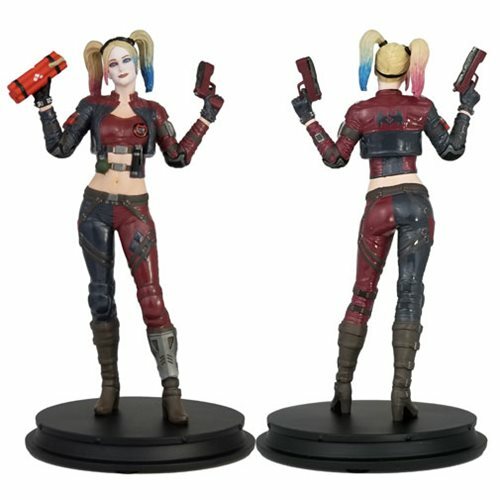 Harley is featured holding a gun in each hand, and included is an interchangeable hand holding a stick of dynamite for a different look! This figure is limited to 500 pieces so don't miss out and place your order today!